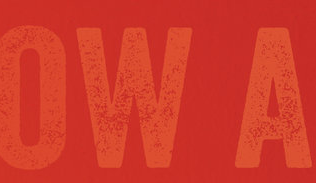 Tomorrow is Slow Art Day. We encourage participation, but even if it’s not this weekend, the next time you’re in a museum set yourself the challenge of looking slowly—spend 5 to 10 minutes with a piece of art, and see what the experience brings for you. To go deeper into the idea of sustained attention and engagement, Slow Art: The Experience of Looking, Sacred Images to James Turrell, provides the perfect entrée. “It all began by accident, one March afternoon in New York, some twenty-five years ago, in the Metropolitan Museum of Art. That day I happened on a painting by Édouard Manet (1832–1883) called Young Lady in 1866. How could I have predicted that I would spend some eight years contemplating a single artwork? Eight years of gazing, speculating, researching; writing, looking again, and again, and rewriting. My visual marathon was the more surprising because the Young Lady looked straightforward—a full-length frontal portrait of a young woman in a pink peignoir posed against a flat gray background with a gray parrot jimmied against the right edge. Gradually I came to understand that this image displayed—or, better, performed—a certain mystery. Not of the hidden but of the visible. 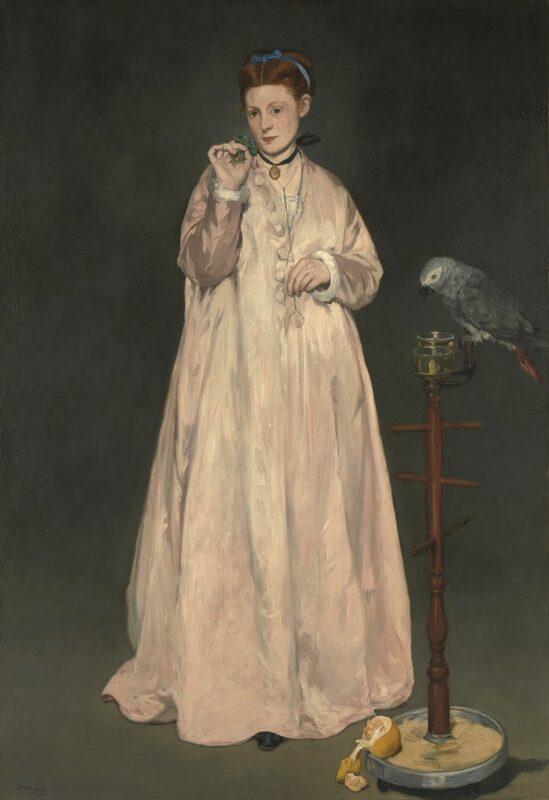 Why, to begin with, did Manet paint a woman and a bird together—as if it went without saying, as if they were some modern, secular variant of the Virgin Mary and the dove? And then, why does the model sport a man’s monocle? She seems to possess an inner life, but simultaneously she looks absent. Is she gazing at us, or lost in reverie, or just posing? The painting remained silent on the queries it continued to generate. I found myself drawn to the picture, resisted by it, and then drawn back. How long, I mused, could I sustain this conversation? I hardly thought about where I was being led, and certainly never imagined how often I would return to the spot, whether in my imagination or in fact. Young Lady in 1866, Édouard Manet, 1866. Oil on canvas, 72 7/8 x 50 5/8 in. Gift of Erwin Davis, 1889. In short, I had an epiphany. I discovered that a painting could be as rich and as thorny as any literary or philosophical text I knew. Add to that the canvas’s sheer physical presence. A paragraph of Immanuel Kant, Franz Kafka, or James Joyce reads identically in a cheap paperback or a buckram-bound edition—even though the material condition of the text doubtless influences our experience. The Young Lady, by contrast, was life-size, and seemed intent on my noticing its color and visible brushstrokes, the marks of Manet’s hand from 1866 still traceable. The painting’s physicality is what first arrested me, in fact, and it continued to seduce me. Particularly the voluptuous feel of her peignoir, so large that you could imagine losing yourself among its folds. Their thick gamut of pinks recalled a moment in Marcel Proust’s Remembrance of Things Past (1913–27) where the narrator mashes strawberries into cream cheese. Manet set this pink off with a clutch of purple violets, painted with dazzling abbreviation, all against a sober gray background. His canvas married the sensuous to the speculative, for the Young Lady’s interpretive challenges were inseparable from its material character. This unfolding revelation proved powerful enough to reorient my career, expanding my field of study from literature to the visual arts. Eventually, my close encounter with Manet’s Young Lady issued in a book about the emergence of modernism, a study that blended old interests and new. 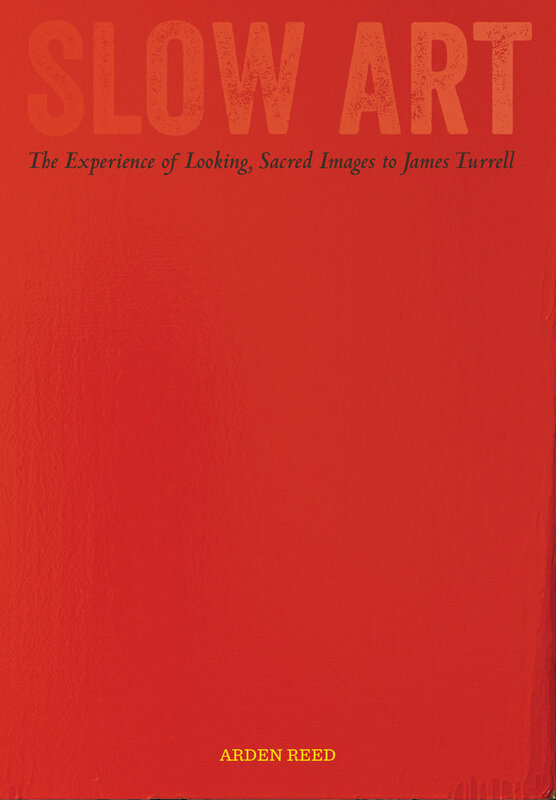 To save 30% on the recently released paperback edition of Slow Art: The Experience of Looking, Sacred Images to James Turrell, enter code 18W8495 at checkout.